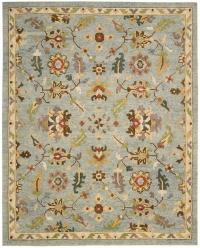 Classic colors and designs reminiscent of Persia, Turkey, Morocco and more. Feast your eyes on the exceptional collection of traditional rugs at The Rug Warehouse. The hand-knotted antique and new area carpets and runners are one-of-a-kind Persian pieces that make any room spectacular. 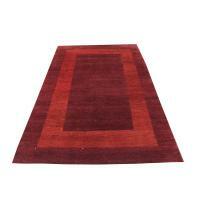 We also offer the finest handmade new and vintage--Kilim, Berber, and more--rugs from around the world. You will find the grandest selection of handmade rugs anywhere. The synthetic collection includes fine Karastan rugs that combine the best of Persian design with the Everstrand fiber, a premium polyester yarn constructed with up to 100% post-consumer content. This incredibly soft yarn fiber is prized for both its vibrant color clarity and stain-resistance. We cordially invite you to visit our stunning Los Angeles showroom today to see our impressive collection of traditional rugs. 38315 Vintage Decorative Turkish 7'x9'9"
38275 Vintage Turkish Hand-Knotted 7'3"x10'6"
37111 Vintage Decorative Turkish Rug 6'x10'2"
38281 Handmade Turkish Rug Size 6'7"x10'2"
56936 Hand Made Montana Rug Size 5'6"x8'6"
59155 Old Sarvil Rug Size 8'5"x11'7"
59072 Fine Tabriz Wool & Silk 8'7"x11'7"
38331 Antique Distressed Turkish 6'6"x10'3"
38285 Vintage Distressed Turkish 6'7"x10"
Old Gorovan Heriz Persian Size 9'9"x12'4"
Afghani Organic Dyes 400113 - 9'1"x12'7"